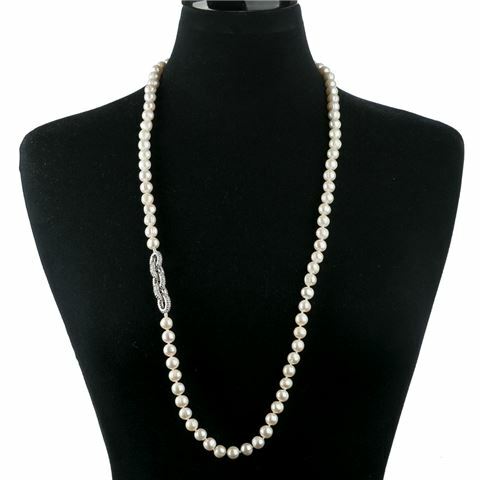 This long necklace with freshwater pearls and faceted silver stone links takes centre stage and is designed to make you dazzle. Measuring 43cm long, it fits and sits elegantly on everyone and is a feminine combination which makes a great gift. Made with freshwater pearls and faceted silver stone links.